Service Provider of a wide range of services which include payroll management software, eazy payroll software and payroll software. Salary Management is considered to be one of the main activities of the Eazy Payroll Software. Managing employee's Salary Structure/Accounts/Disbursements is not an easy task, any organization has a number of employees which lie under a number of categories, having different components of earnings and deductions. On the other hand, Payroll is governed by statutory regulations like PF, ESI, TDS that are subject to change and which specify a number of mandatory forms that need to be filed by the employer every month. Both HR and Payroll department work in co-ordination to calculate and disburse the salary of the employees. In fact a lot of factors determine the final compensation of an employee, viz. Basic Salary, Reimbursements, Fringe Benefits, Perquisites, statutory components etc. Payroll Management is a discipline that deals with calculating, administering and disbursing the Salaries, Tax Deductions and Retirement benefits of the employees. Managing the complexities of Salary Structure, Calculations and Disbursement procedures our Payroll Automation approach enables you deal with these issues in a simplified manner. Payroll is an important activity in any organization. Managing employee payroll is not an easy task. Today companies having a large employee base face major challenges in payroll processing. There are many employees in an organization and all of them are placed under different payroll categories. Other than this there are many other components that determine the actual remuneration of an employee, viz. Basic components (basic salary, fringe/other benefits), statutory components (PF, ESIC ), TDS, special allowances etc. Managing all these components and processing salaries accurately is certainly a complex task. 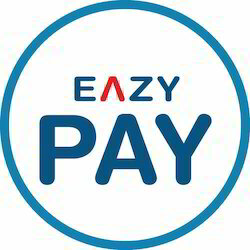 Eazy pay enables you conduct payroll processing confidently. 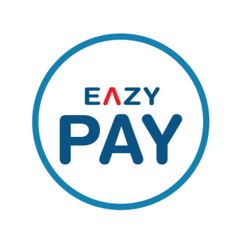 With eazy pay it is possible to maximize the potential of hr and accounts through timely and accurate salary processing, efficient reimbursement handling, effective loans & advances managing and correct statutory requirements fulfilling, including all pf/ESIC challans and TDS. Thus we are offering reliable HR Software Solutions. Employee benefits form helps you record all medical and detail insurance programs that your company have for your employees. Create HR payroll report, phone list, employee list, department list reports, and you can add your own report later based on your need. You can output your employee data and payroll data to Microsoft® Excel® file and PDF file as well. The database records all employee information and you can review it by name list, phone list, or department lists.